Lee Lockwood, the ninety-eighth Grand Master of all Masons in Texas, was born in Waco, Texas, the domicile of the Grand Lodge of Texas, on November 11, 1900, being the only child of James Harvey Lockwood and Gussie Doss Lockwood. The Grand Master’s father was born in Bloomingburgh in the State of New York, but moved to Texas at the age of 12 years, settling shortly thereafter at Waco. Brother Lockwood is a descendant of Peter Crans, one of the distinguished officers of the American Revolution. Brother Lockwood’s mother is a native of Texas, having been born at Lagrange, and was the daughter of Richard A. Doss, a civil engineer, who served in the Texas Mounted Volunteers, Company G, Fourth Regiment, of the Confederate Army, having volunteered at San Antonio, Texas, on September 24, 1861. Brother Lockwood is one of the youngest Masons to have been elevated to the position of Grand Master in Texas; yet none has served in this high office with more distinction and credit to our Grand Jurisdiction. He has brought to this high office unlimited energy, enthusiasm, and demonstrated a sincere attachment to Masonry, its principles and ideals. Immediately after his installation, the District Deputies and Masters of the Lodges were advised in a clear and concise manner of the program which Brother Lockwood intended to follow during his year, and this program has been fruitful again for the second time in thirteen years showing a net increase of more than 2,000 members, the reinstatement of 4,426 Master Masons, and the Lodges have been drawn closer to the Grand Lodge. As Grand Master he has carried to the officers of every Lodge and to thousands of Master Masons in Texas a message of the duties and responsibilities of these who are privileged to work in the Ancient Quarries, a message that was delivered straight from the shoulder in unmistakable terms and meaning, detailing briefly but forcefully the duties of a Master Mason to God, his country, his family and his fellowman, from which those who have been privileged to hear him have received a lasting inspiration. 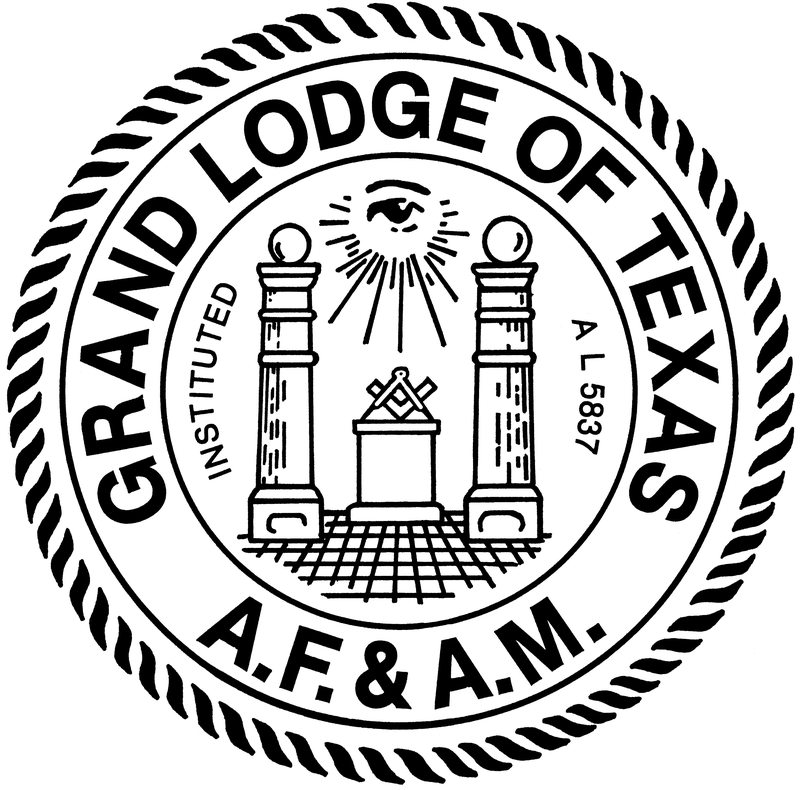 It can be safely said that no other Grand Master in Texas has ever before met and talked personally to any greater number of Lodge officers and Master Masons than our Grand Master. The record which Brother Lockwood has made as the head of Masonry in Texas is one from which the Craft will receive continued benefit in the years to come. 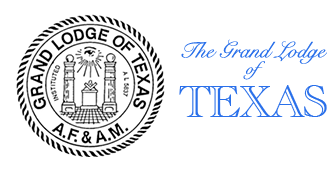 It is a record that is viewed now by the Masons of Texas with pride and will be referred to down through the years not only as outstanding, but one of constructiveness, and beneficial to the Grand Lodge. Those who have watched the Grand Master during the year have marveled at his boundless energy, the sacrifices that he has made to further the interest of the Craft, his sympathetic patience, and the lack of confusion in the dispatch of the great amount of detail work with which he has been confronted. 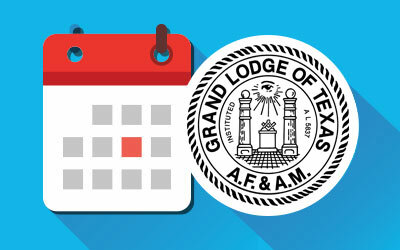 His regional meetings held at central points have been designed so that as Grand Master he could reach representatives of the some 900 constituent Lodges in Texas, and while a novel idea it has been productive of results that undoubtedly will be followed by those who in future years will succeed him as Grand Master. No Mason can come in contact with our Grand Master but that he will be fired anew with a desire to be of service to Masonry and impressed with the privilege that is his to say that he too is a brother in the Craft. We turn to the Masonic record of Brother Lee Lockwood and find that on November 29, 1921, or the year that he reached his majority, he was initiated as an Entered Apprentice in Fidelis Lodge No. 1127 at Waco, passed to the degree of Fellowcraft on December 28, 1921, and raised to the sublime degree of Master Mason on January 24, 1922. In June, 1925, he was appointed junior Steward, served as Senior Steward in 1926, Senior Deacon in June, 1927, was elected junior Warden in 1928, Senior Warden in 1929, and Worshipful Master in 1930. 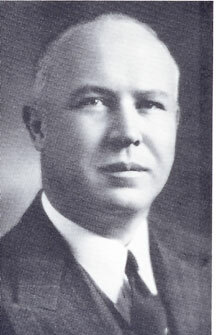 In December, 1933, he was appointed District Deputy Grand Master of the 61st Masonic District and two years later, in December, 1935, was elected Grand Junior Warden, elected Grand Senior Warden in 1936, Deputy Grand Master in 1937, and installed as Grand Master at the 103rd Grand Annual Communication of the Grand Lodge of Texas in December of 1938. He is at present the Grand Representative of the Grand Lodge Valle de Mexico, near the Grand Lodge of Texas. Our brother has always been an active degree worker and received certificates in 1925, 1926, 1927, 1930, 1933, 1936, and 1939. Brother Lockwood was exalted in Waco Chapter No. 45, Royal Arch Masons, and is a member of Waco Council, receiving the Royal Arch degrees in 1923. He is a member of Waco Commandery No. 10, having received the Red Cross Malta and Templar degrees in 1924. For many years he has been active in the Ancient and Accepted Scottish Rite, working in several of the degrees at Austin, having received the 32° in Austin Consistory in 1922, and has been honored by the Supreme Council of the Ancient and Accepted Scottish Rite of Freemasonry, Southern jurisdiction, by receiving the preferment of Knight Commander of the Court of Honor in 1933. He is also past president of the Waco Scottish Rite Club. Brother Lockwood is a member of the Order of Red Cross of Constantine, belonging to St. Timothy’s Conclave at Fort Worth. Brother Lockwood has been a member since April of 1922 of Karem Shrine Temple, A. A. O. N. M. S., at Waco. Brother Lockwood attended and graduated from Waco High School in 1918, attending Baylor University at Waco in 1918 and the University of Texas from 1919 to 1922, being a member of Phi Gamma Delta Society. He distinguished himself in athletics, more particularly in football. On October 3, 1923, he married Miss Marie Coates, and it has been through the unselfishness of his charming and gracious wife that Brother Lockwood has been able to devote so much of his time to the advancement of Masonry. She has been since their marriage an inspiration to him in this great work and of constant aid and assistance to him in performing the many responsible duties that the brethren of Texas have placed upon him. The Grand Master and his wife are the parents of two attractive young daughters, Ann Marie and Laurine. Brother Lockwood is a devout and sincere Christian, being a member of the Central Christian Church in Waco, having joined this church in 1914. For many years he has been a member of the Board of Deacons of this church. In business Brother Lockwood first became connected with the First State Bank & Trust Company of Waco and later entered the insurance and finance business for himself, and since 1930 has conducted a most successful retail lumber business. He is at present a director of the local Chamber of Commerce. To us has been assigned the most pleasant duty of writing a brief record of our beloved Grand Master, detailing something of his activities as Grand Master, as a Mason, a citizen, a business man and Christian, and it is to be regretted that space does not permit us to go more into detail regarding the outstanding characteristics that have distinguished him in each of these phases of his life. Brother Lockwood leaves the position of Grand Master and now becomes a Past Grand Master of the Grand Lodge of Texas. He retires with the respect, affection and admiration of every Master Mason in this Grand Jurisdiction. He has served with honor and credit to himself and the institution which he so loves. We know that in the future he will be as active as in the past. No position in Freemasonry will be too humble for him to accept. Masonry in Texas needs more Lee Lockwoods.